Some people have their ear to the ground. And well, some have their ear to the grounds (ba-da-dum). 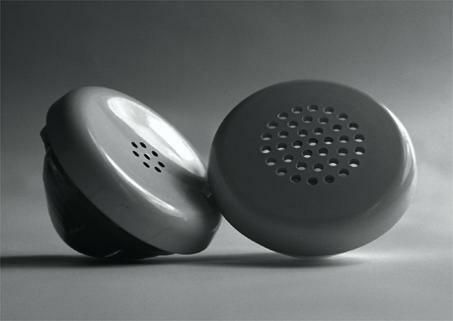 The phone of the past has been reincarnated into those oft used seasoning shakers (you know, salt and pepper), prompting second looks and comments like "oh, I remember those phones" from the 20+ crowd, and oblivious yawns from everyone younger. Eh, either way, I think they're pretty darn cute, and quite the conversation piece (oh... so clever).